Used 2004 BMW M3 Convertible for Sale in Denver CO 80220 Weisco Motorcars, LTD. 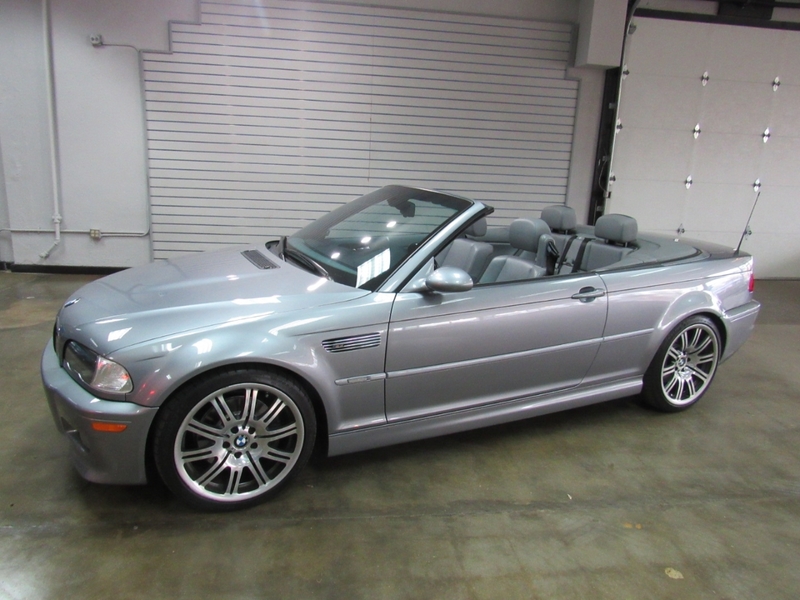 Very hard to find 6-speed manual 2004 BMW M3 convertible done in Gray over Gray leather with only 84k miles. This M3 is very nice and has lots of nice upgrades like: heated seats, power top, power seats, Navigation, keyless entry, leather seats, tinted windows, power windows, power locks, and much more. Both the inside and outside are in very nice shape plus has not been smoked in. Call Weisco Motorcars for more info or to set up a time to stop by for a look over this BMW M3. Message: Thought you might be interested in this 2004 BMW M3.